Seller wants it SOLD! $10k price drop! Best price on the island! 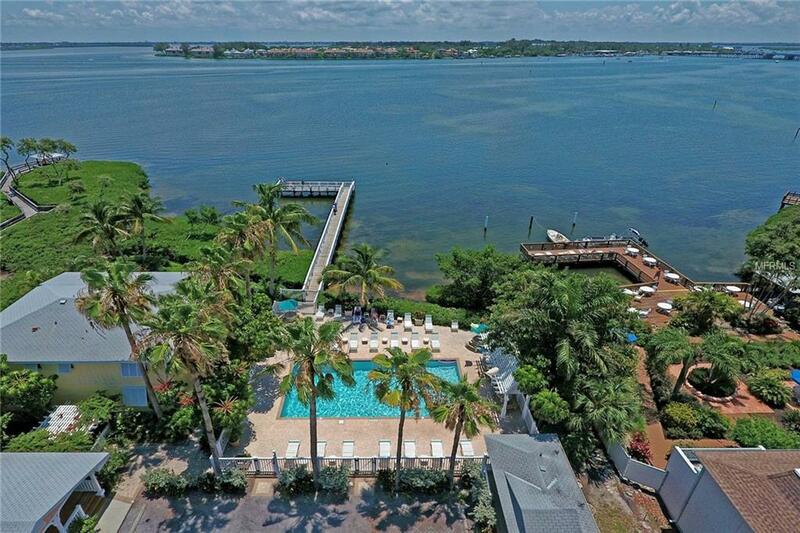 Tradewinds Beach Resort is located in Bradenton Beach on quaint Anna Maria Island in the Gulf of Mexico off Southwest Florida's fabled Sun Coast. This charming resort has pastel cottages covered with tangles of jasmine and bougainvillea. The romantic cottages line both sides of a private street that ends at a large heated pool set among palm trees, and a fishing pier that juts into Sarasota Bay. A private white-sand beach is located just across the street, beside that glorious turquoise water you're coming for - & sunset views that promise to break your heart with their beauty. Also, numerous charcoal BBQ grills are set beside arbors shaded with flowering vines, with picnic tables beneath for al fresco dining. Tradewinds Beach Resort is pet friendly! Complimentary laundry on premises. This turnkey furnished cottage is stylishly decorated with tropical furnishings and soft colors & has a full kitchen, bedroom & bath with tub/shower, a queen sleeper sofa in the living room & a private front porch. Just a short stroll away lies Historic Bridge Street with numerous boutique shops and restaurants. Or catch the free island wide trolley right outside the driveway and explore the individual styles of Holmes Beach and Anna Maria. Flexible nightly, weekly & long term rental policy is maximized with professional-site management. Repeat & referral guests provide proven positive cash flowabove all operating costs. Listing information © 2019 Florida Regional MLS. Listing provided courtesy of Island Real Estate-Anna Maria. © 2019 My Florida Regional Multiple Listing Service, Inc. All rights reserved. All listings displayed pursuant to IDX. All listing information is deemed reliable but not guaranteed and should be independently verified through personal inspection by appropriate professionals. Listings displayed on this website may be subject to prior sale or removal from sale; availability of any listing should always be independently verified. Listing information is provided for consumers personal, non-commercial use, solely to identify potential properties for potential purchase; all other use is strictly prohibited and may violate relevant federal and state law. Data last updated 2019-04-20T19:41:07.337. RE/MAX Realtec Group is Orlando/ Kissimmee's most innovative real estate team.